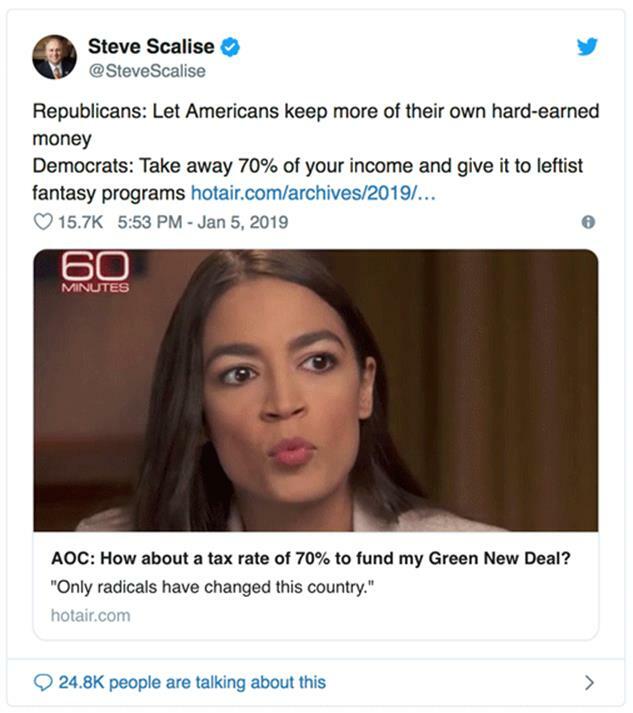 In other words, if you make $10 million or less—which describes almost everyone—AOC’s proposal wouldn’t change your taxes at all. That’s because we have a graduated tax system. To collect really big money, such a tax would need to apply more broadly. Raising the top rate from 37% to 57% for the top 1% of taxpayers would yield about $170 billion per year, calculates former Treasury economist Ernie Tedeschi.